Just a quick look at the making of the lace overlay version of the Jordy Bralette along with the Orange Lingerie Montgomery brief. This time I used the lovely Emerald Erin kit. Everything I have ordered from the website has been great quality. What I like about the pattern is that seam allowances are marked which is particularly helpful when cutting out lace. 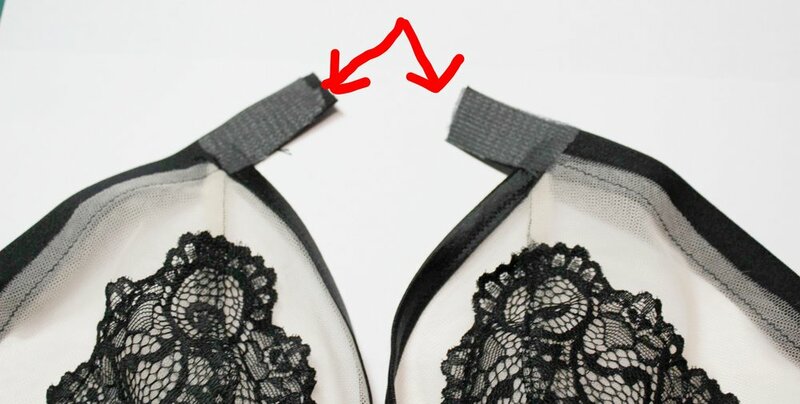 As you can see from the second picture I have the point at which the lace cups meet at the low point of the scallop edge. I then flip over and match for the other side. 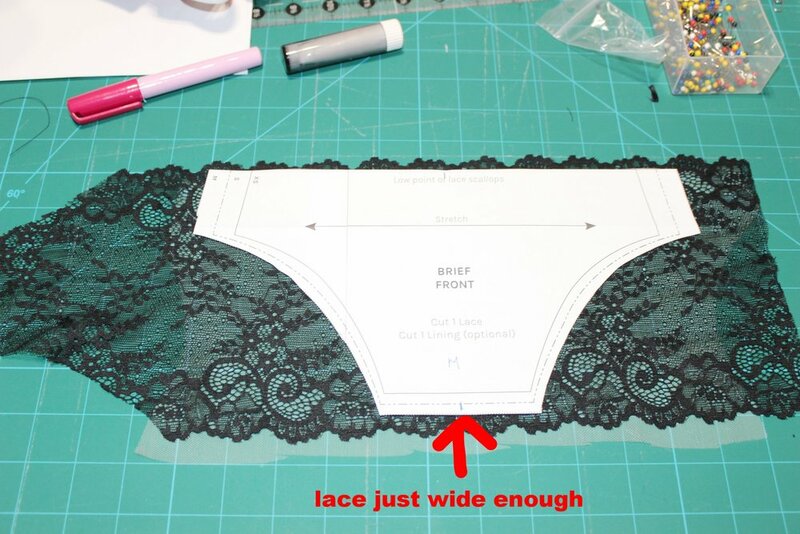 I have also placed white paper under the lace so I can actually see the pattern and also helps with a clean cut. There was enough of the bra tulle to line the cups. So for the inner cups I used temporary spray adhesive to keep the lace, tulle and tulle lining in place. For the outer cup I used the spray to keep the lace and tulle in place. 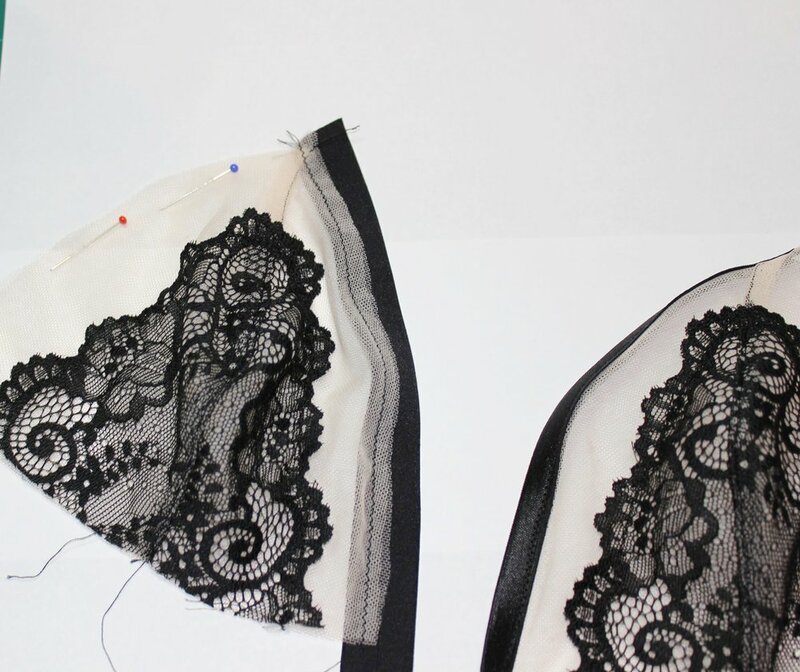 You can use either a small zigzag or straight stitch along the scallop edge of the lace to attach to tulle. Then I sandwiched the inner cup between the outer cup and lining. Perfectly matched cups! 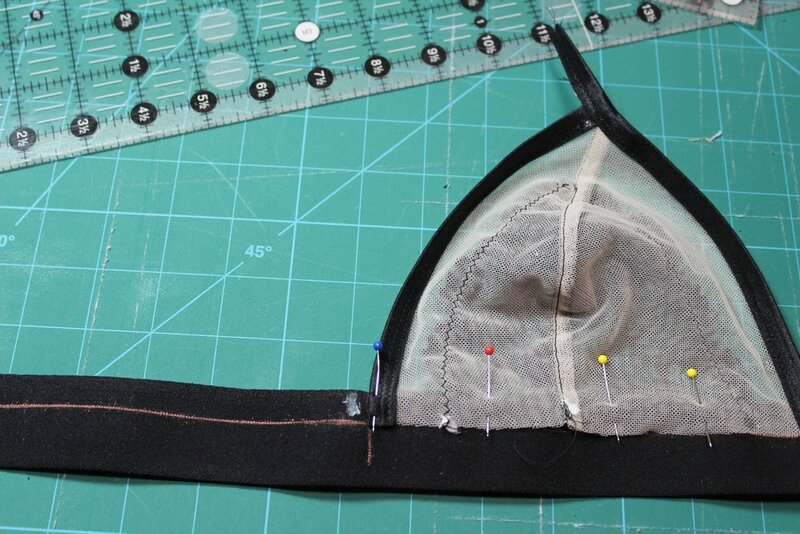 The fold over elastic is then applied to the inner cup first, then the outer cup leaving a tail to attach straps. I also used some stabilising tape to the tail. The cups are then attached to the band. I like to draw in the line along which I can pin the cups. I sew along the bottom of the cup first on the wrong side and then flip over and sew along the top of the band so all perfectly straight lines. I then trim any excess back to the zigzag. I did think about overlocking the bottom of the cup but didn't want to create any uncomfortable bulk. Just the straps left to do, I like to use a glue pen to keep the straps in place as I sew. As I always like to make a set so I went for the Montgomery brief as only a small amount of lace. I used the tulle to line the lace as it does have stretch in one direction. 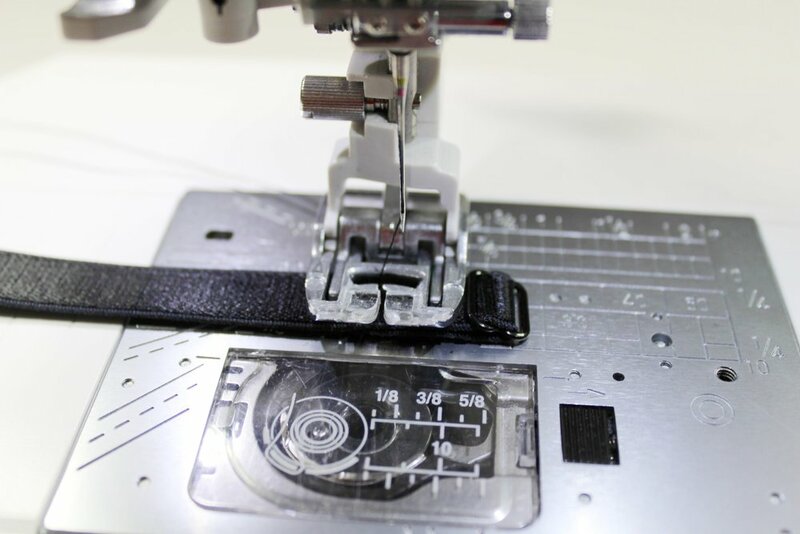 I attach the clear elastic along the scallop edge with a three step zigzag. Back and front prepared, leg elastic added and nearly there. Just the side seams to finish.